TOKYO -- Toyota plans to launch a new onboard telematics system dubbed Toyota Friend, aiming to transform cars into hubs of interactive social networking similar to Facebook and Twitter. The new technology, unveiled on Monday, was jointly developed by Toyota Motor Corp. and Salesforce.com, a cloud computing software provider from San Francisco. The system will be offered in Japan starting next year with the debut of the Prius plug-in hybrid and Toyota's new electric vehicle. There is no timeline for offering the system overseas, but Toyota is studying such a move as it angles to be a leader of in-car interconnectivity. Onboard telematics is a pet project of President Akio Toyoda. And the Toyota Friend deal follows on an April announcement that Toyota would team with Microsoft Corp. on a separate cloud computing system that monitors such things as a hybrid car's battery charge. Toyota Friend creates a system of instant message-like communications between the driver, the car, the dealer, and the factory. This real-time exchange will keep Toyota drivers apprised of their car's maintenance schedule or battery charge, allow Toyota drivers to communicate with each other and help customers schedule inspections or service, the companies said. "Social networking services are transforming human interaction and modes of communication," Toyoda said. "The automobile needs to evolve in step with that transformation." 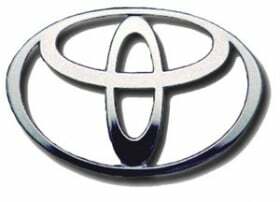 Users can log in to Toyota Friend from mobile phones, tablet computers or desktop PCs. To promote the technology, Toyota, Salesforce and Microsoft will invest 1 billion yen ($12.2 million) in Toyota Media Service Co., the carmaker's new media unit. Toyota Friend can help manage vehicle charging to reduce stress on the electricity grid, Toyota said -- by reminding users to recharge their cars and recommending an optimal time to plug-in when grid demand and electricity rates are low. Users can then activate the recharging remotely through their phones or computers. Automatic updates can also be sent from the car to alert drivers of maintenance problems. Drivers can then remotely schedule service through an automatic link to dealer staff.